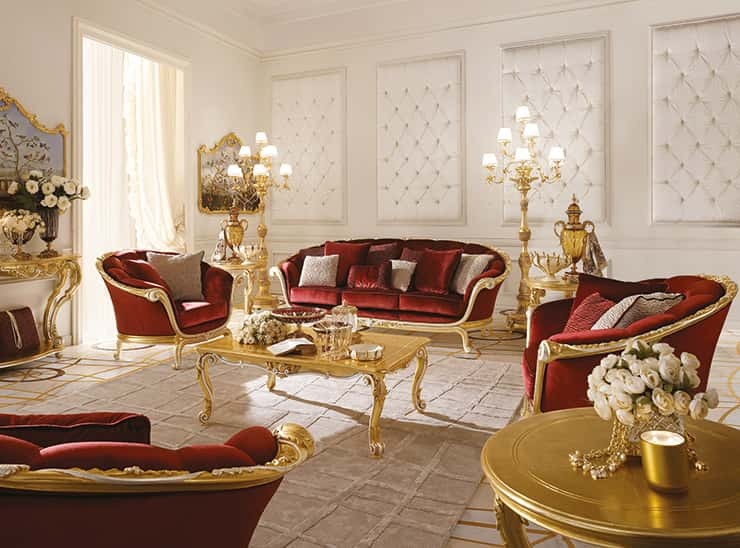 The living room is the heart of every home, where we relax with our family and entertain our guests. 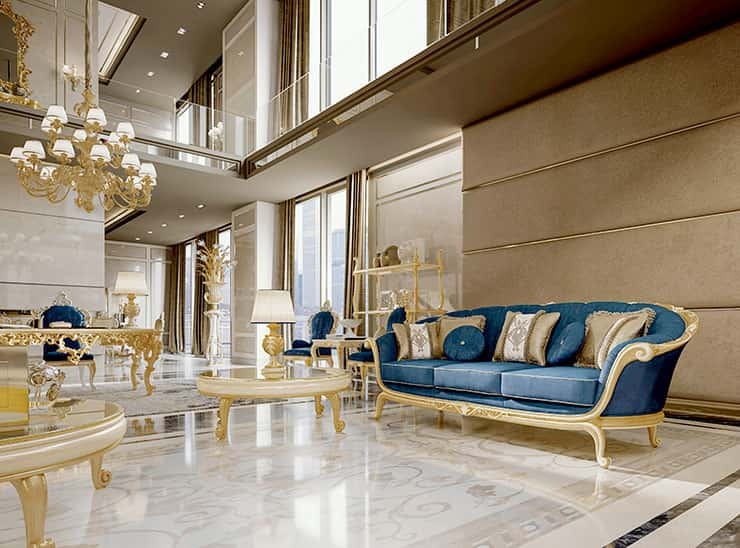 The living room is where much of our home life happens, from curling up with a book to spending a cozy evening watching TV. 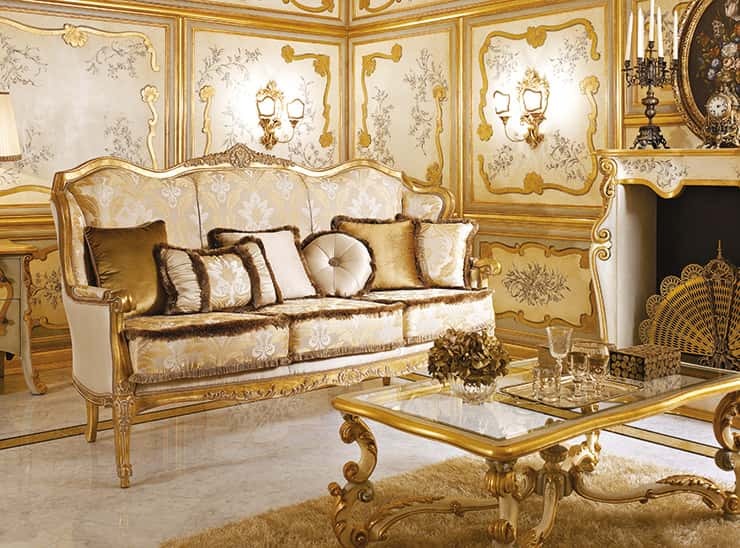 This is all taken into consideration when designing living room furniture to create an atmosphere. 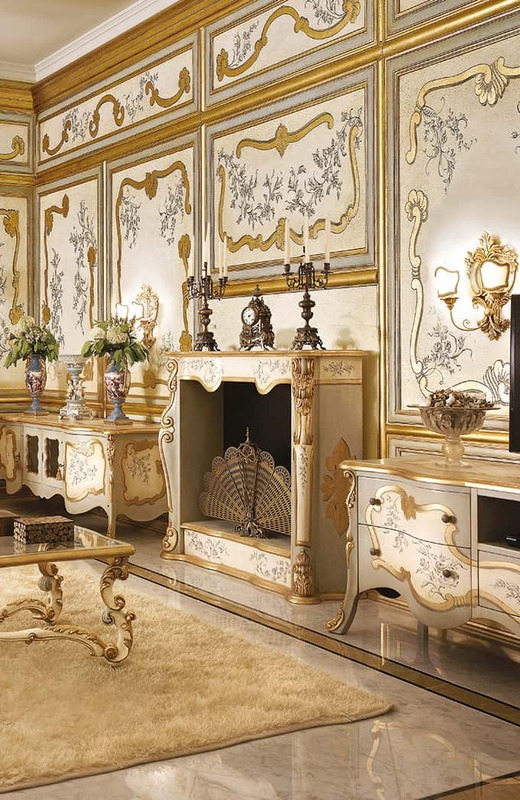 We take an all-encompassing approach: furnishing a home with Italian wooden living room furniture means choosing furniture that is as practical as it is visually attractive, for every piece of furniture from the bar cabinet to the TV cabinet. 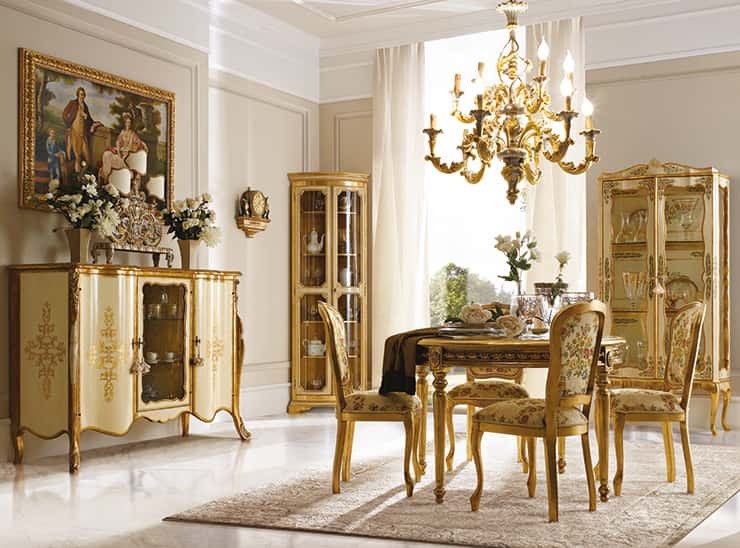 Classic and contemporary living rooms alike are beautified with furniture whose sophisticated style and ample sizes convey a sense of ease and comfort. 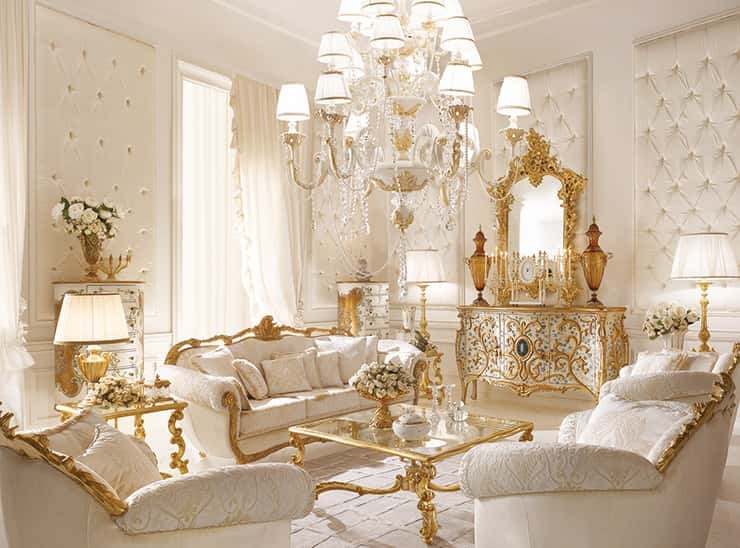 The sofa is the clear star of the living room. 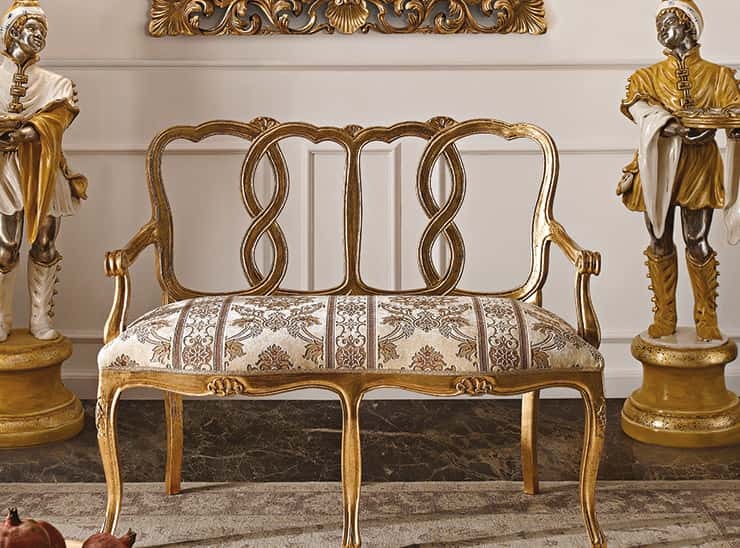 Soft upholstery in velvet and fine damask are placed on inlaid wood structure for furniture whose personalities are distinct and appealing. 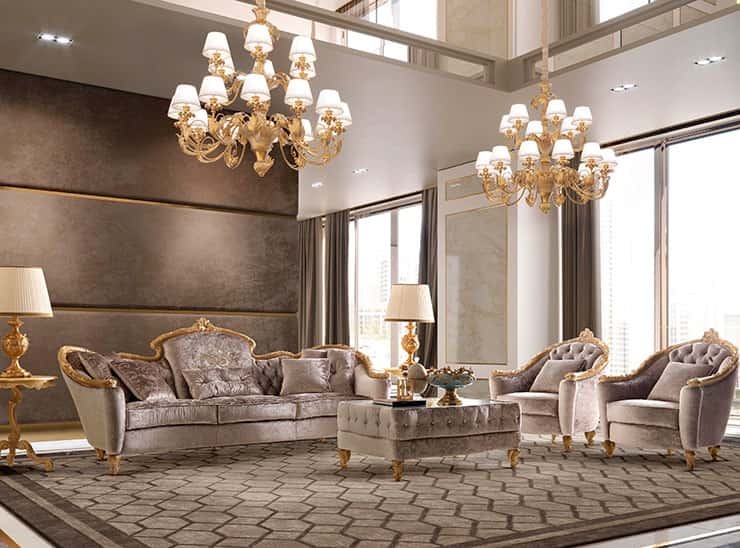 Every living room needs a sofa and armchair, especially in classic styles, such as those in our luxury living room collections. 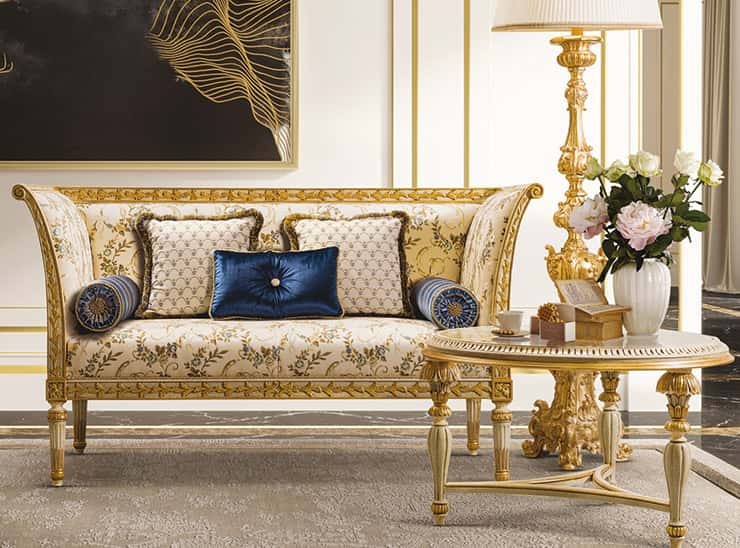 In classic living rooms, refined upholstered furniture creates harmonious lines, and in contemporary living rooms, it is eye-catching, adding a touch of high originality to the interiors. 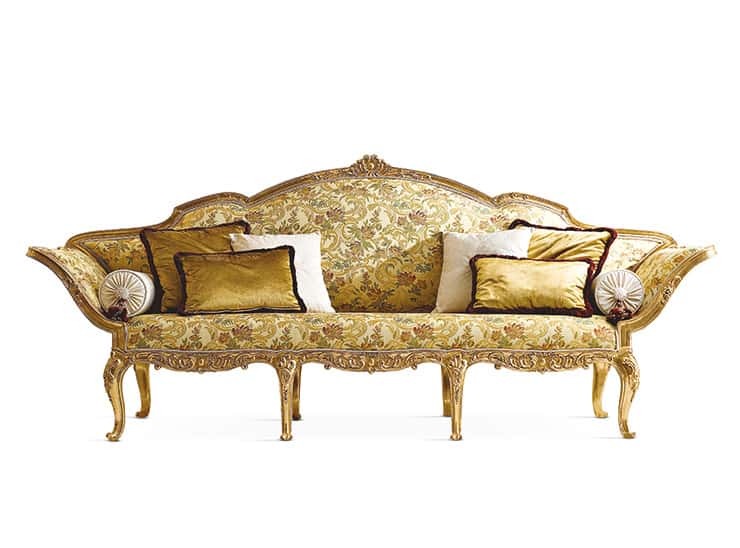 Sofas and day beds feature generous comfortable seats and sophisticated appeal. 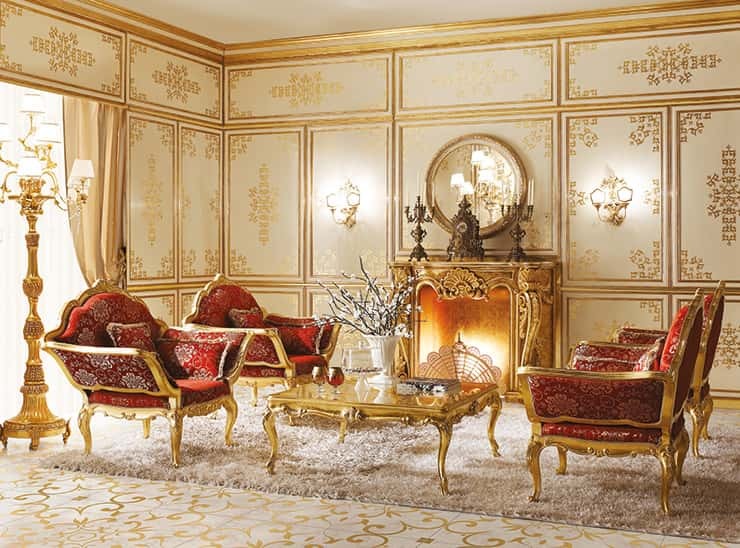 They add to the living room's beauty and makes it the perfect place to relax in good company. 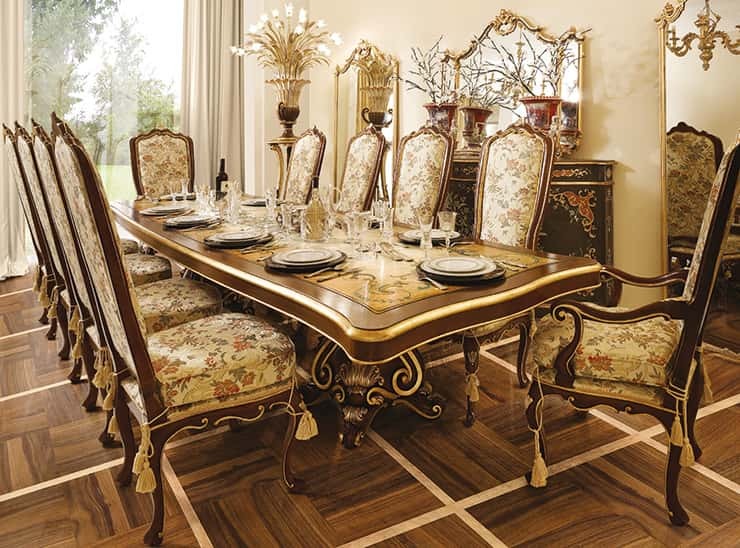 Dining room furniture has gained growing importance in the latest modern design trends. 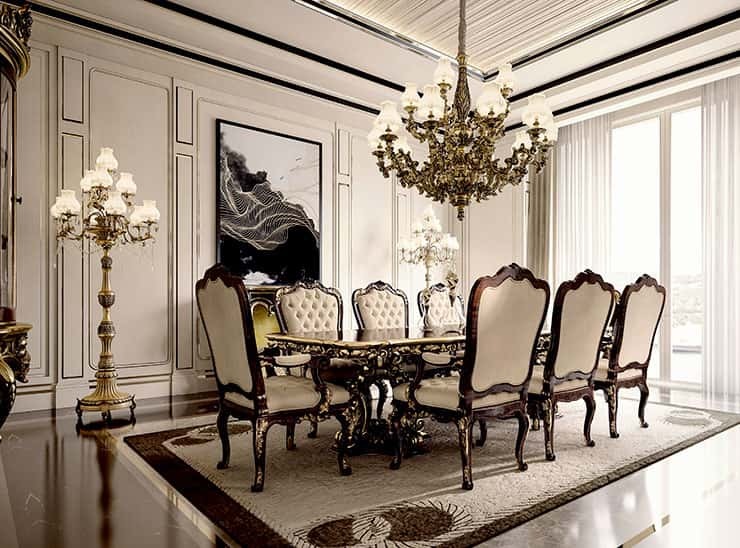 The dining room is often connected to the living room or a single space with the kitchen, and designing a classic dining room requires special attention to make a room of high-level beauty and practicality. 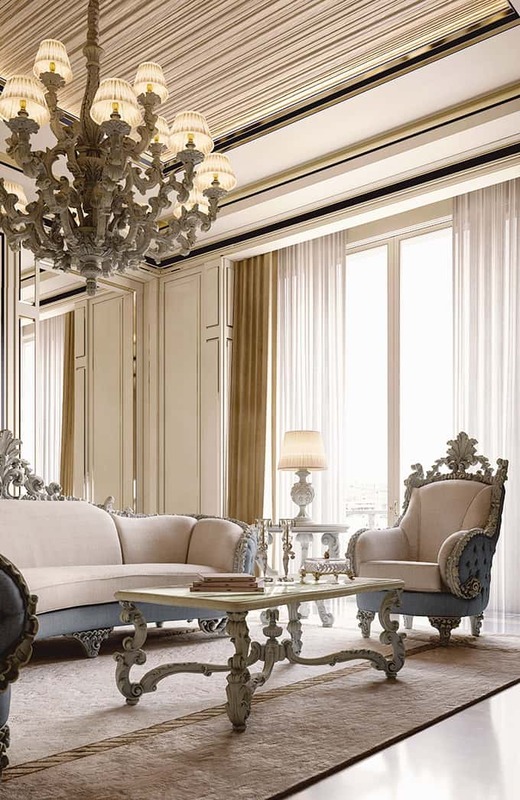 The key is finding a consistent style among the furniture pieces, which is why Andrea Fanfani designs entire interiors, adapting our own furniture to any request for making tailor-made projects. 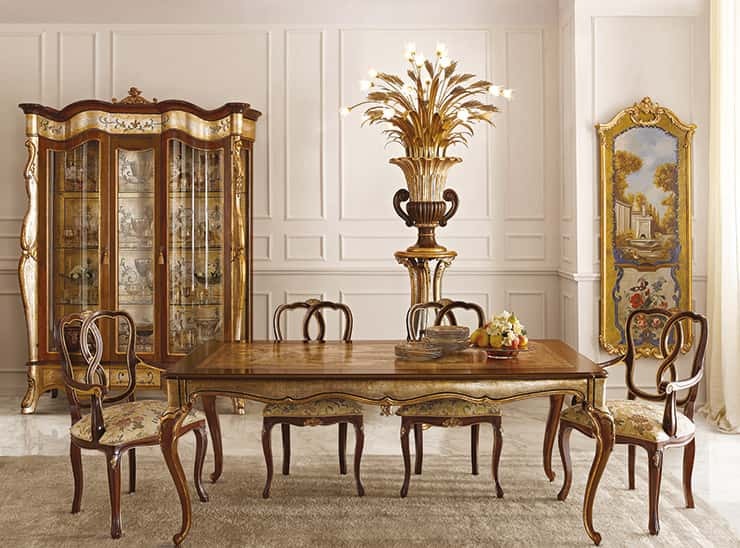 Classic wood dining room includes tables featuring fine crafted wood or marble shelves, chairs with soft upholstery, beautifully carved sideboards. 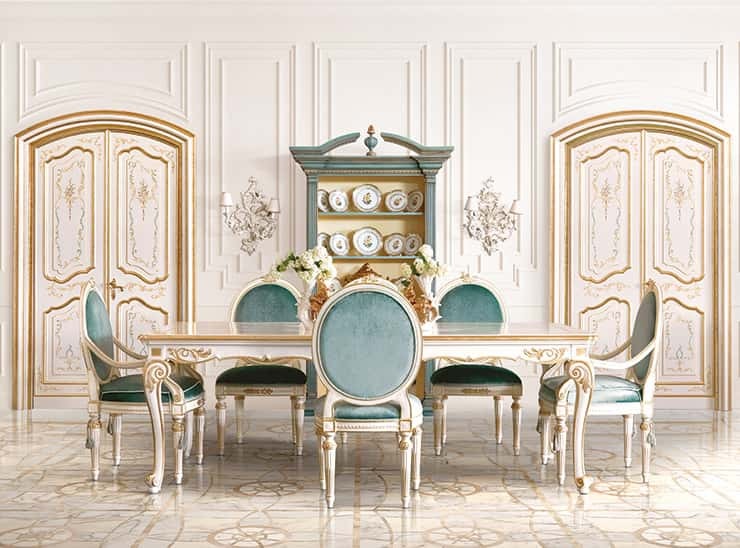 These furniture pieces are key design components, combined to create an overall effect, freeing the warmth of the place where the whole family gathers to have lunch or host friends. 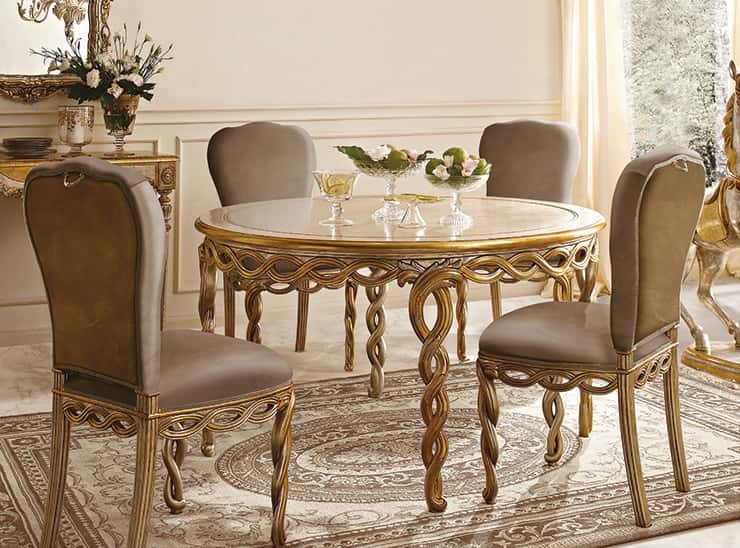 Regardless of the dining room size, the central table surrounded by comfortable chairs is always the star of the room. 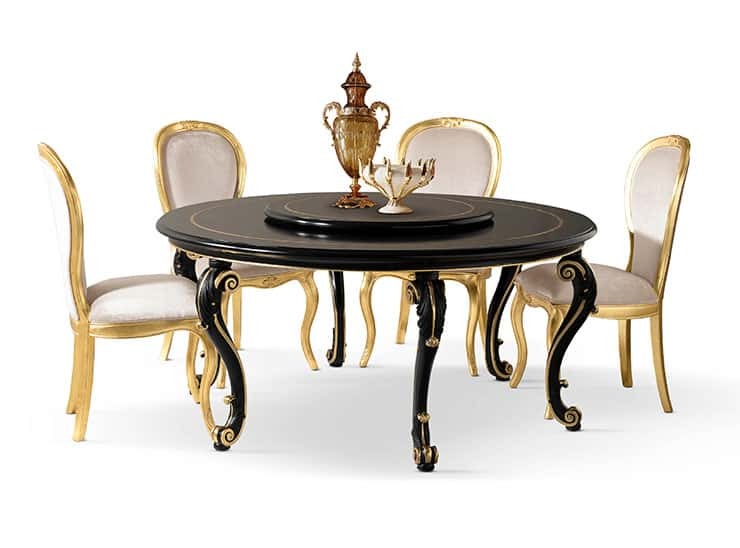 Luxury Dining Room Tables Andrea Fanfani's tables are the fruit of sophisticated furniture making, featuring wood or fine marble tops, with bases and legs carved with inlays and adorned with gold leaf following age-old Florentine craft techniques. 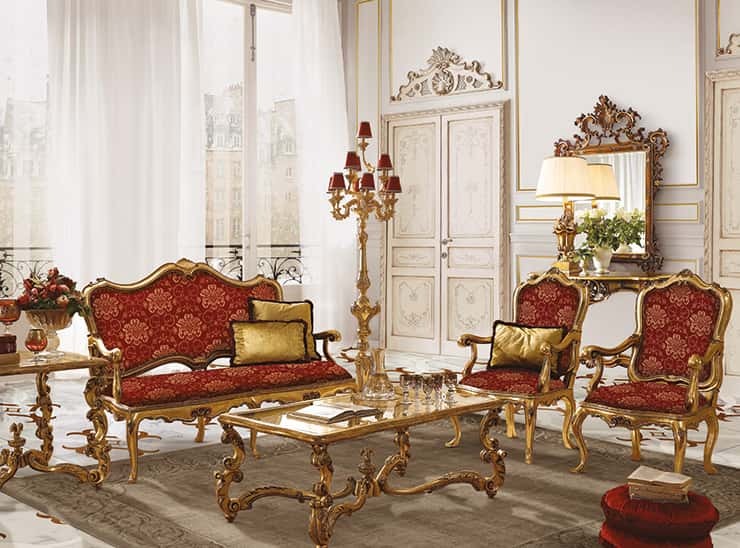 The chairs are so soft, upholstered in precious velvet and damasks, they are almost like armchairs. 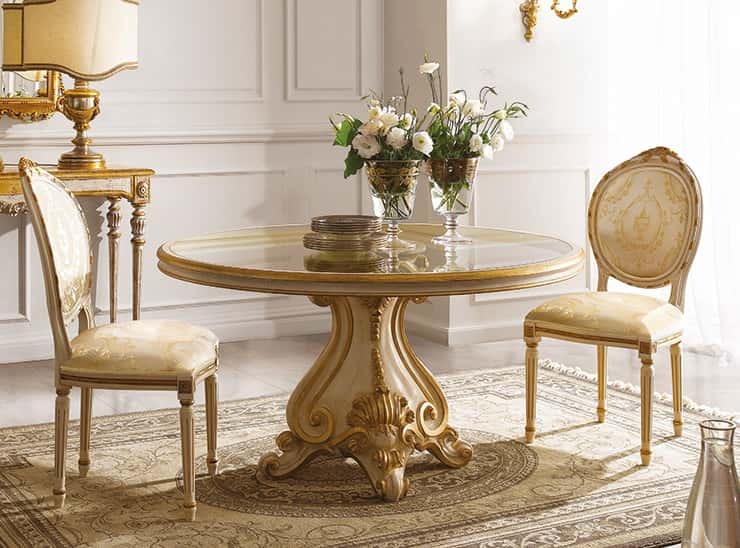 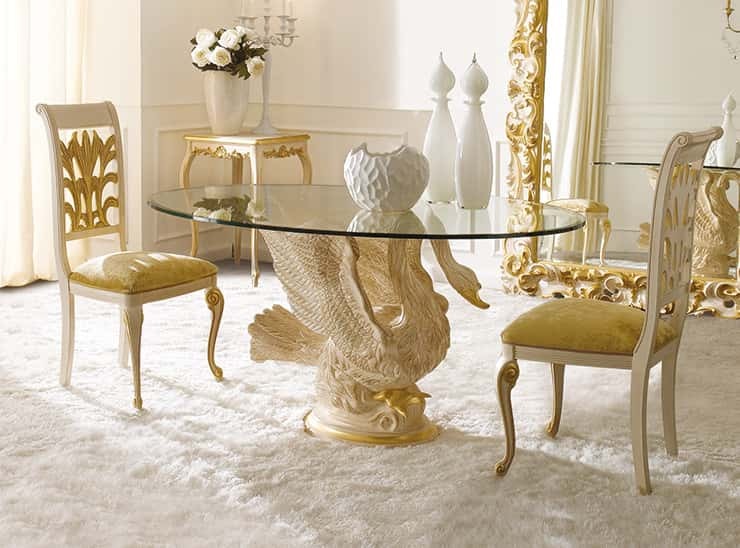 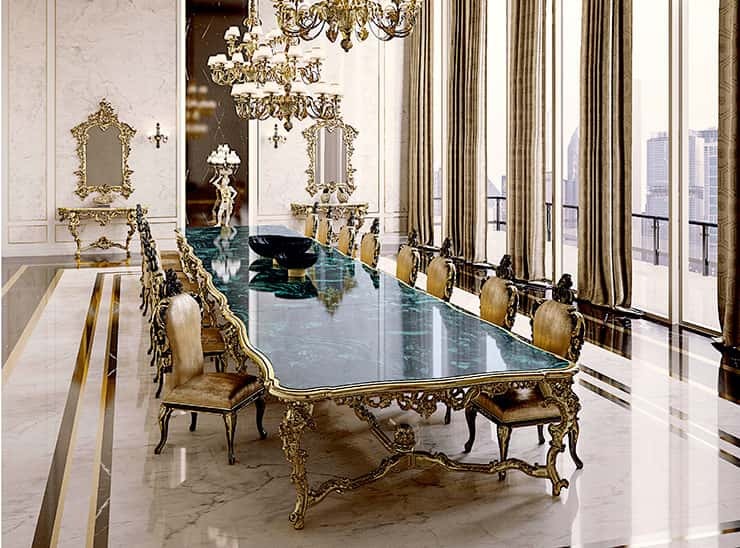 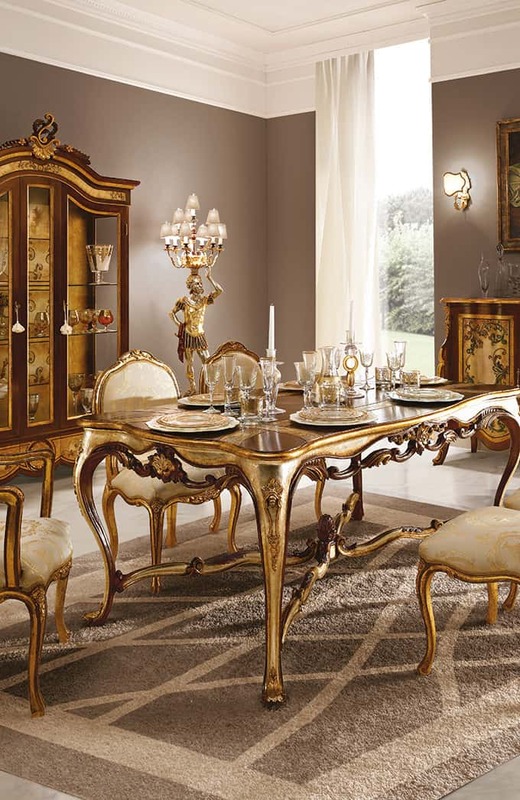 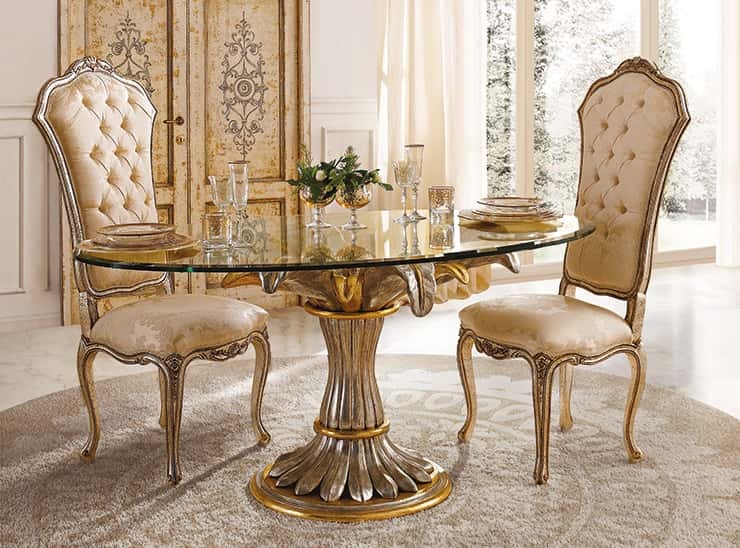 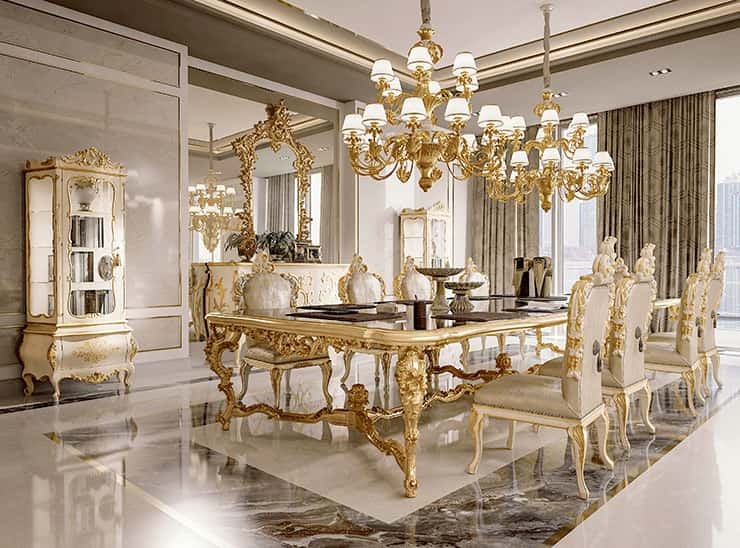 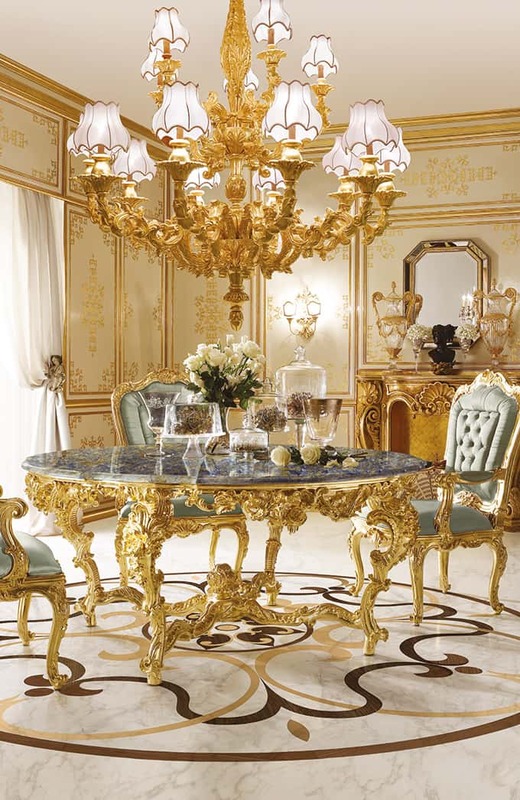 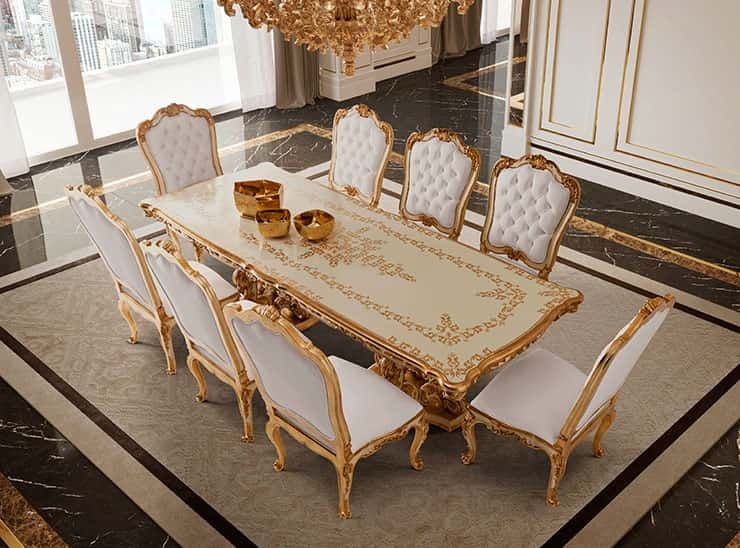 Andrea Fanfani makes handmade dining room tables and Italian luxury dining room furniture. 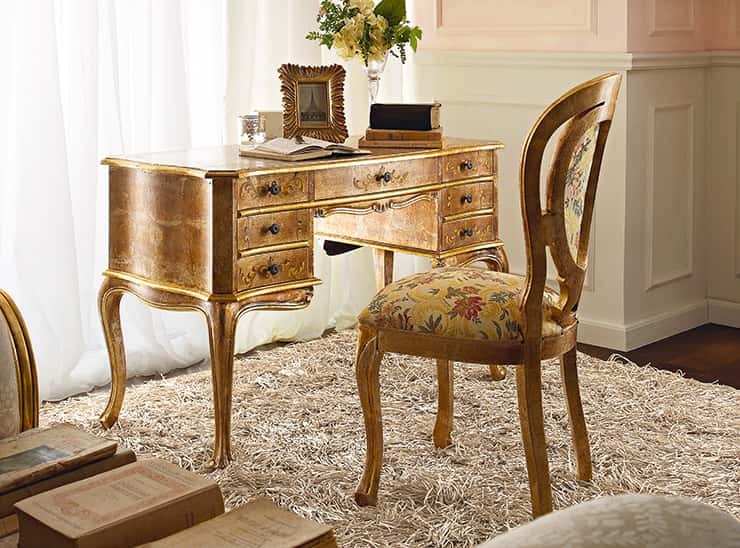 Andrea Fanfani's home study furniture has style, sophistication, and exclusive elegance. 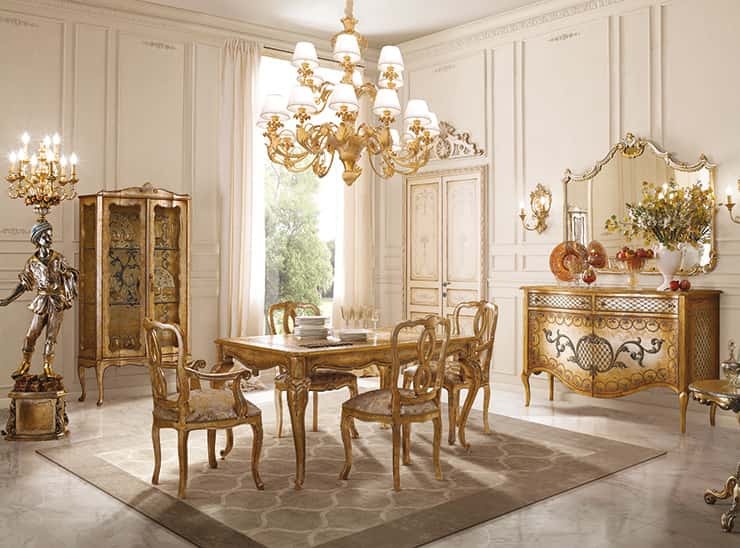 Drawing on our experience in classic furnishing, Andrea Fanfani takes an approach of great elegance to understated rooms, such as the home study and office. 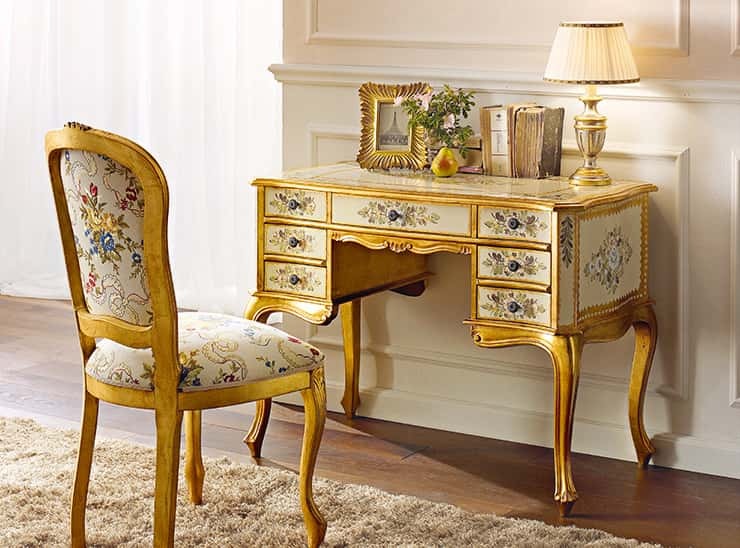 Classic home study furniture is taking on more and more importance as a multi-purpose space fitting modern lifestyles. 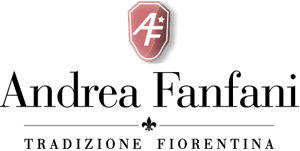 Andrea Fanfani's furniture designs are highly versatile, adding elegance and sophistication to a room for business meetings, regardless of the available space. 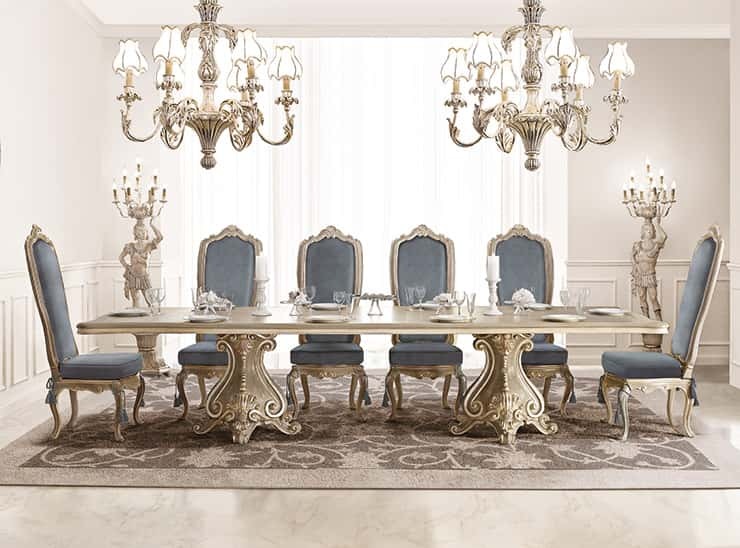 The prestige of Italian design matches perfectly with an office's practical needs, including large tables for impressive meeting rooms, creating just the right setting for long business meetings. 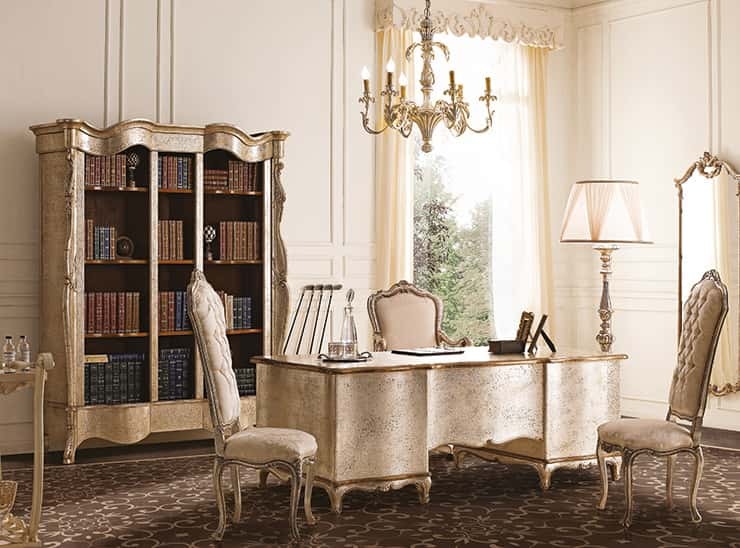 Luxury home office furniture creates a setting where state-of-the-art technology is at home, making a room that is both comfortable and highly practical. 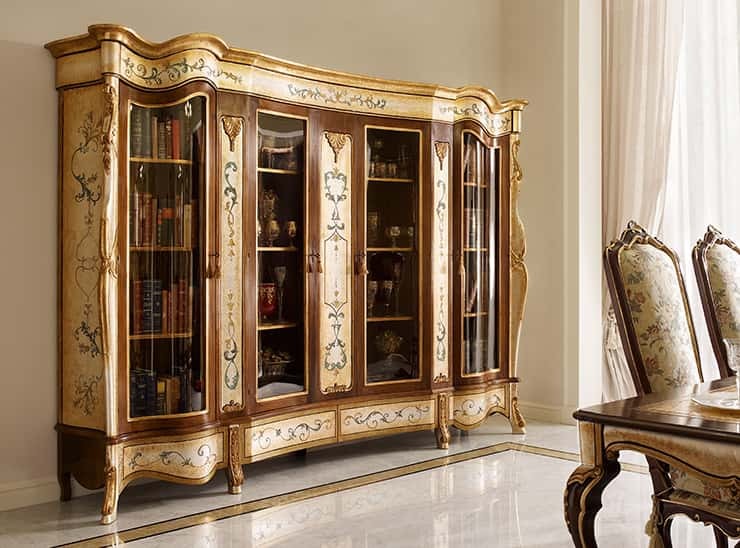 Display cabinets and bookcases give living rooms extra elegance while making them tidy and appealing. 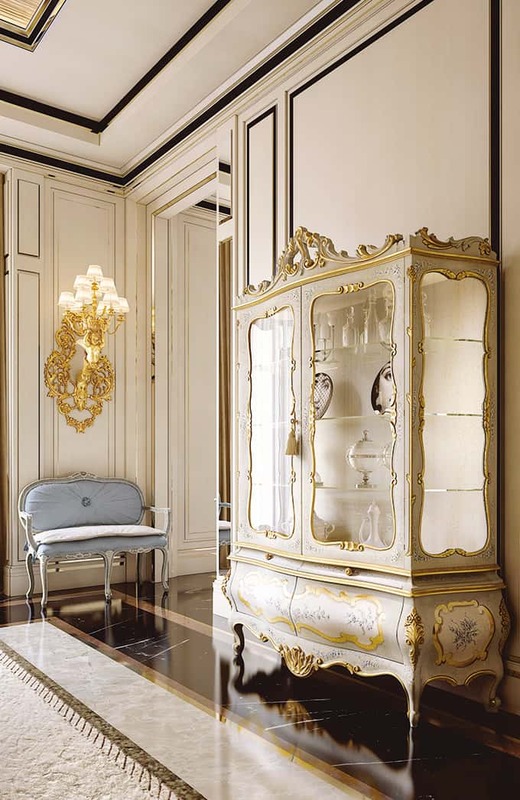 Furnishing a living room in classic style can add pieces of great charm and unquestionable convenience, such as a classic console or a trumeau cabinet, which also fit perfectly in contemporary interiors. 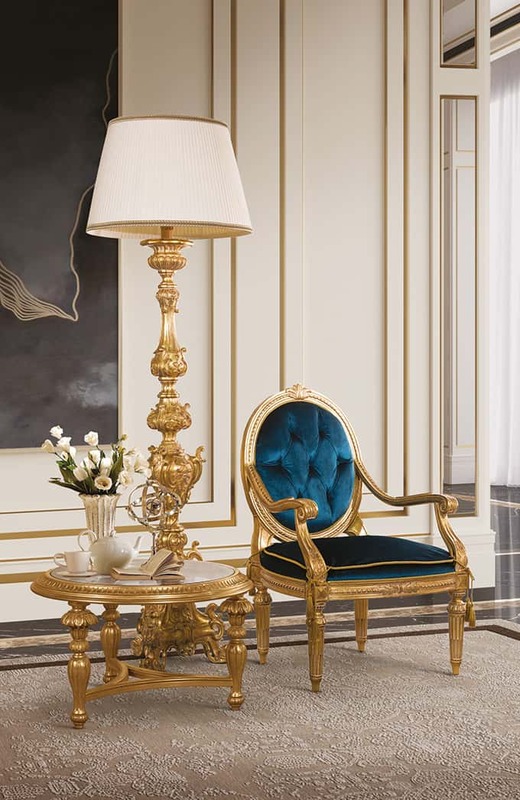 : there is a growing interior decor trend to combine different styles in one room, bringing classic furniture in juxtaposition with sleek, minimalist design furniture, making unexpected, appealing contrasts. 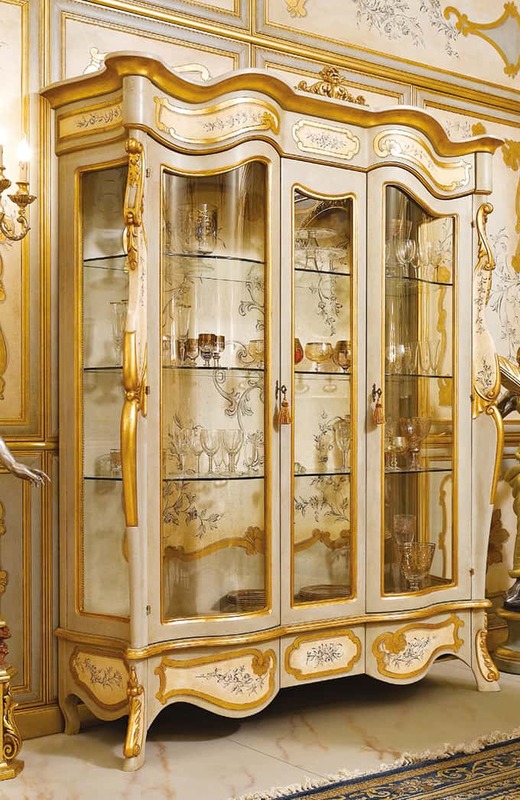 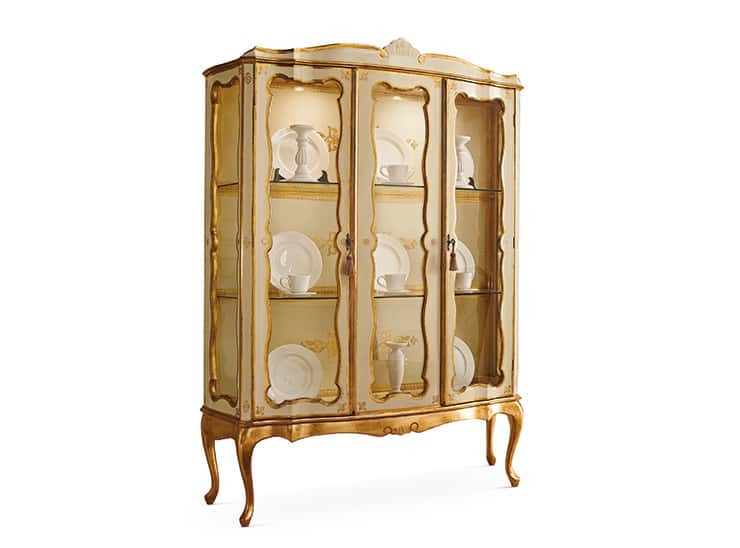 Trumeau cabinets, display cabinets, and bookcases keep cherished mementos, books, and fine objects. 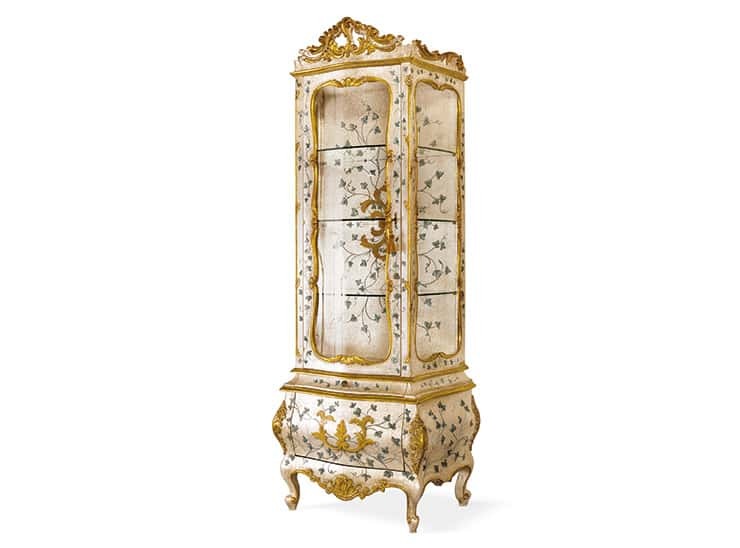 They can be customized with your preferred number of drawers, choosing between cabinet door decorations in wood and the elegance of glass protecting the shelves. 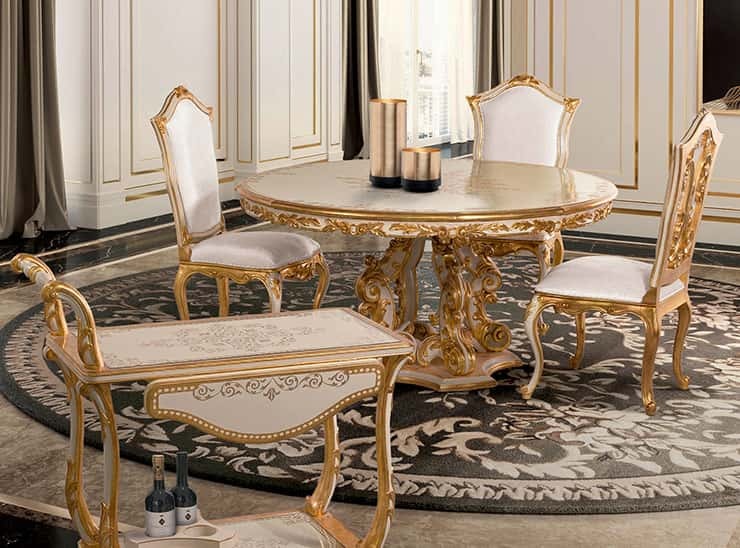 Our classic furnishing gives timeless expression to modern lifestyles with finely crafted furniture of endless fascination, especially if combined with a selection of quality materials that stand the test of time. 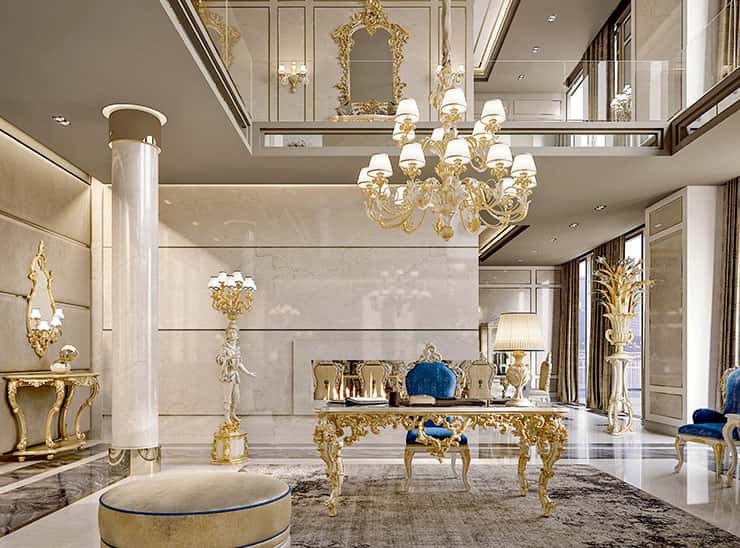 Wood is the undisputed king of classic living rooms. 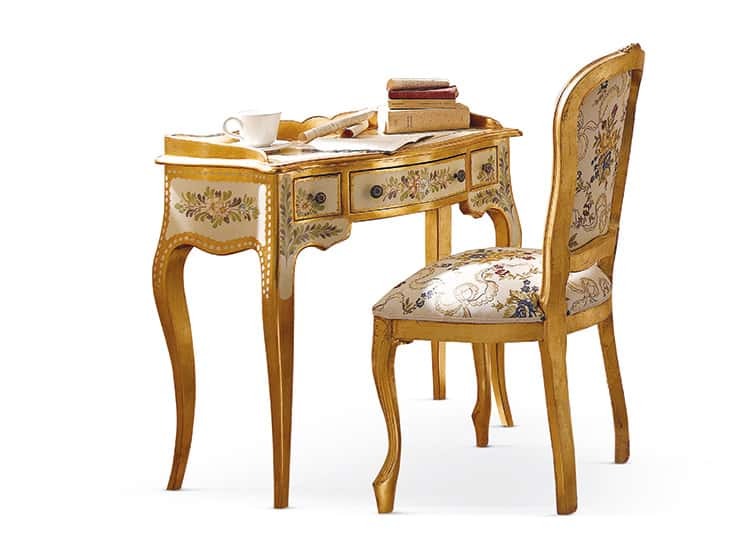 Andrea Fanfani uses this warm, refined material to create invaluable gold leaf applications and exquisite inlays in the Florentine tradition. 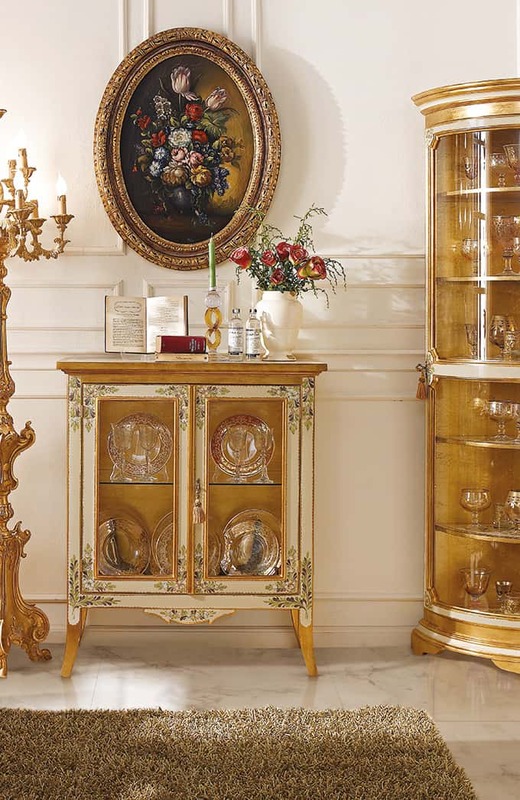 Sideboards and display cabinets, designed to keep our books, glasses, plates, and silverware in order. 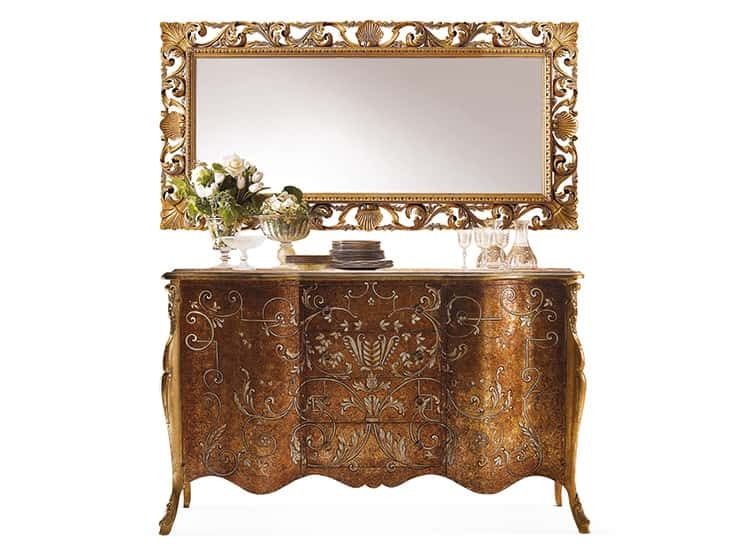 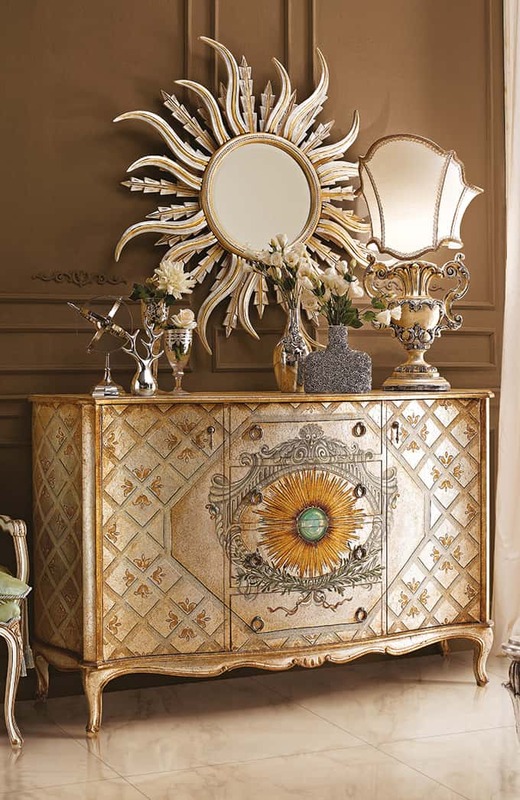 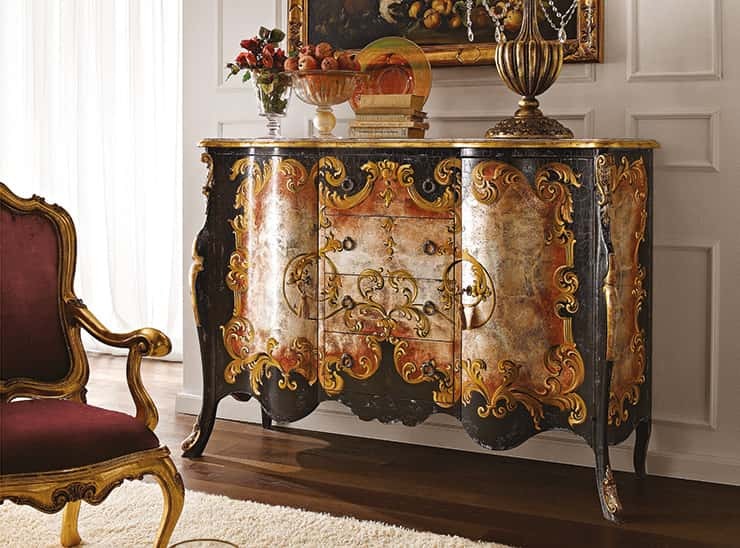 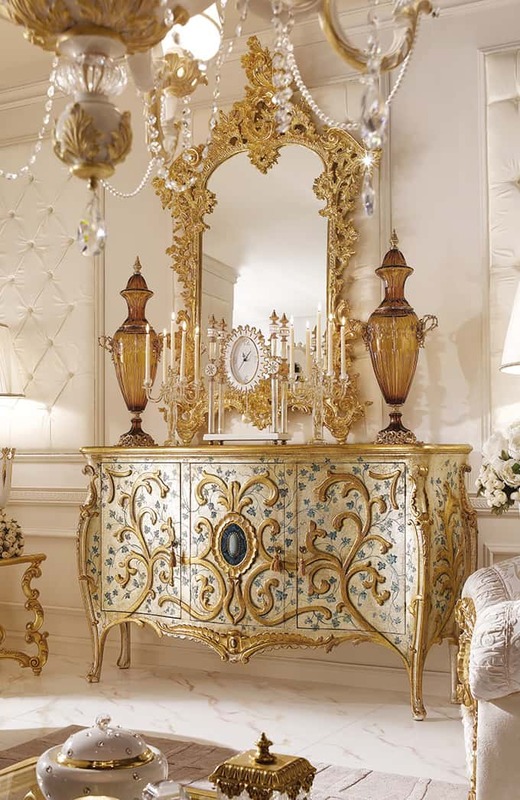 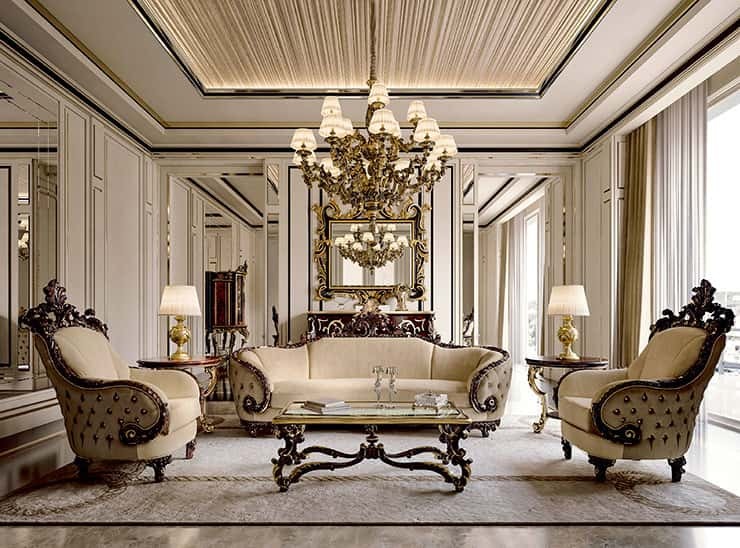 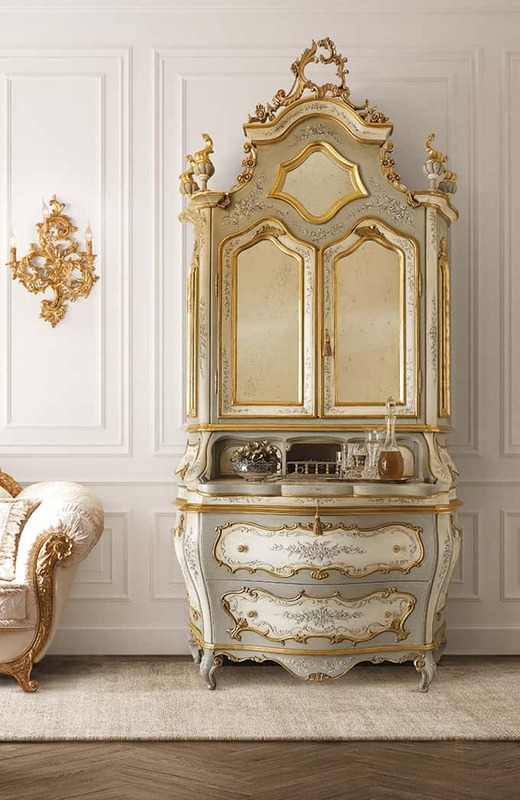 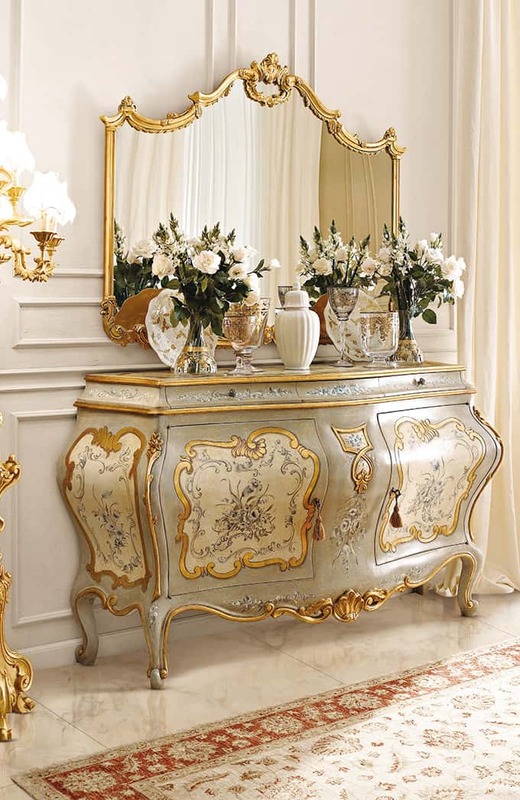 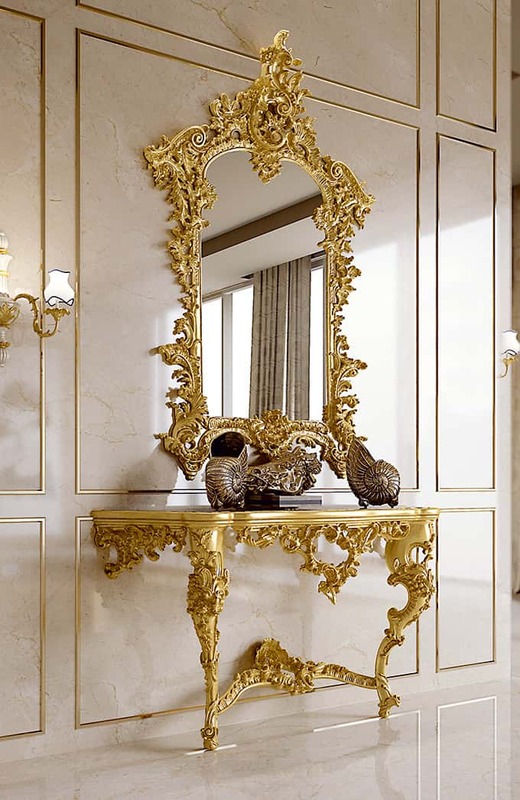 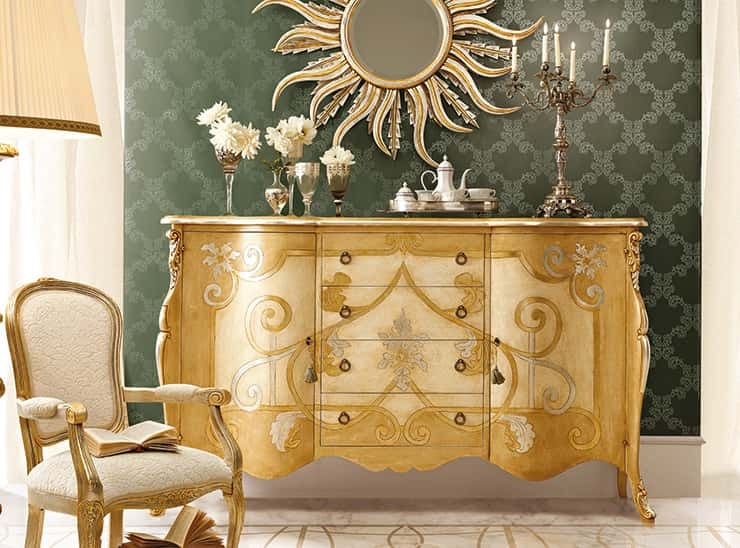 With the lush inspiration of European Baroque art, they add beauty to interiors, creating an atmosphere of high luxury. 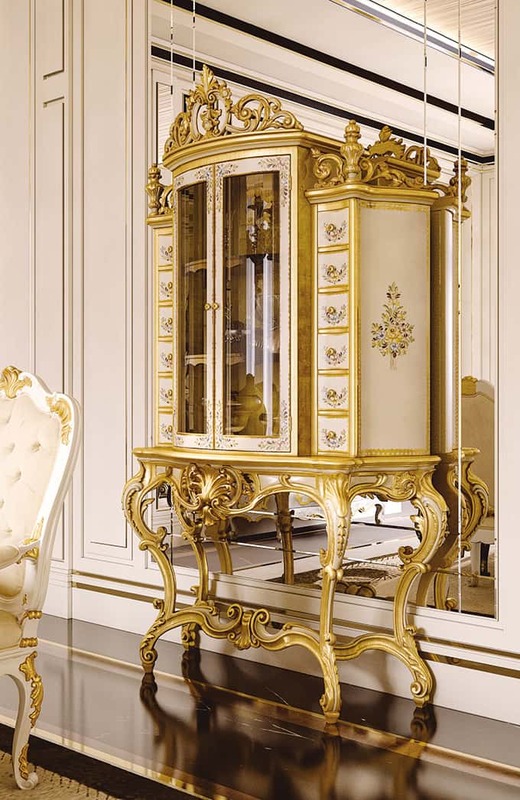 With the option to add mirrors and shelves inside, they make for period furniture pieces of inimitable style.. Andrea Fanfani's luxury dining room furniture collections, Opera and Tornabuoni, feature furniture of powerful originality, belonging to the long tradition of classic furniture, including consoles and trumeau cabinets. 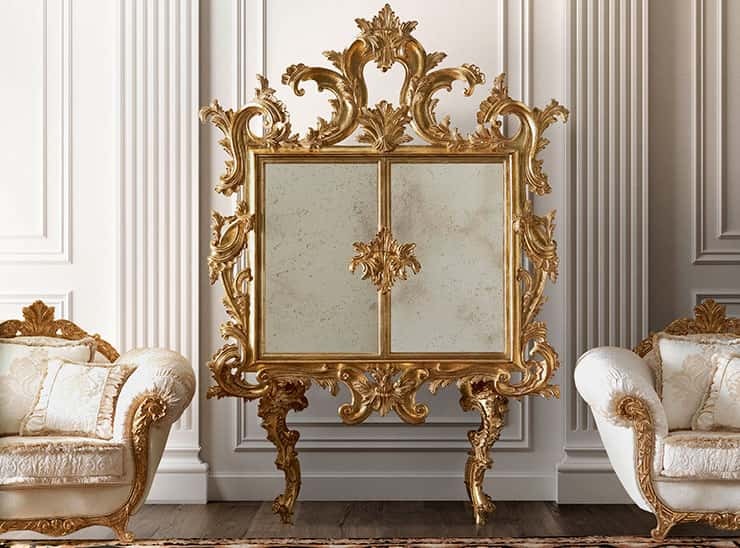 They are perfect for enchanting, luxurious interiors furnished in classic style or to bring an extra touch of personality to contemporary interiors.